eSoftTools Access Password Recovery Software is the successive application which enables users to recover their lost and forgotten access file password. Use this program which also supports to recover word or Excel file password that mean with this single utility you can recover password of access, word and Excel file without losing any information. Access password remover software takes few minutes to remove the protection from access file and gives the facility to users to re-open Access database without difficulty. You can also view how tool recover access password, word password and Excel password. This is single solution but can recover multiple password such as- Word documents, Excel file and Access file. Instant Recover Access Password with high accuracy. Remove, recover lost and forgotten password of Access Database file. One Tool with MultiTasking: Option to Recover Password from MS Access, Word Document and Excel Spreadsheet with single software. Inbuilt with several password recovery features like "Dictionary Attacks", "Brute Force Attack" and "Know / Part attacks"
DEMO Facilities to recover first 3 character of password at free of cost. Demo version Access password recovery software shows first 3-character password. 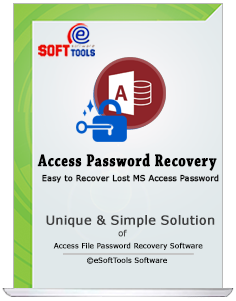 eSoftTools Password Recovery Software is an combined software for MS Access Password Recovery, Excel Password Recovery and Word Password Recovery. Use this multitasking Access Password Remover software which is extremely helpful for recovery of forgotten password from access file and gives the authority to users to re-access their access data after unlocking the protection by breaking password. MDB Password recovery software can be used for recovery of lost and forgotten access file password, the working functionality of the tool is very easy to use any method to recover access password and get the authority to re-open access file after unlocking access protection. This Access Password Recovery software is the solitary explanation but it is multi-tasking app since the software facilities not only recover access lost password but also recover word document password and Excel file password with preview facility. Access file password recovery software is capable to recover multilingual password of word, access or excel file. It mean the software will recover password related to alphabetic, alpha-numeric, special characters and symbolic etc. Access Password Recovery software only takes 2-mouse clicks to recover lost access password. The First is to select the Access *.mdb file and Second is to click on "Recover button". Its automated feature smartly detect the version of MS Access database file and recover access password within seconds (instantly). The graphical interface is 100% clean and understandable by Technical OR Non-Technical users. This Access Password Recovery Software has separate option to recover forgotten excel password. Get Word file password recovery free of cost with this software because this software has the separate option to recover word file password. The trail version software only show you first 3-character password and hide the rest of password. To remove this limitation, you must apply valid license. How do i recover forgotten access file password? On the first screen of software, Click on the button Access and click on next button. Click on Recover button to initiate quick password recovery processes. Which versions of MS Access files can support to recover password? 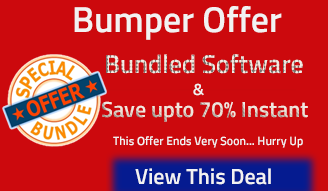 This software helps to recover only Access 2000, XP and 2003 versions of Access file passwords. Will software help me to recover lost password of Access file? Yes, this software helps to recover access file lost and forgotten password and gives complete facility to users to re-open access file. My password was to lengthy and required to unlock my locked Excel and Access file will the software supports this? No matter, how long your password is, the software capable to recover any lengthy lost password of word, access or Excel file even you can get the permission to set the password length for recovery. Does software provide preview of password recovery status? Yes, the software provides the preview of password recovery process to satisfied users wants. I have some protected files of Excel and Access. So i need to purchase 2-different/license to recover password? So you have grab only 1-copy of our password recovery software and recover your "Access" and "Excel" file passwords. I liked the access password recovery of eSoftTools because it provided me fast and secured password recovery process, I didn’t face any problem in recovery the password even the software provided me option to recover word and excel password also, I want to recommend this tool to every user who need to recover lost password of word, excel or access file.